This website is dedicated to Earl (Baba) Kadolph, who passed away September 5, 2000, and to Annie (Nana) Kadolph (nee: Cline), who passed away September 3, 2004. Creating with Mom the magic of Christmas morning. Selflessly preparing the traditional Christmas dinner year after. Organizing backyard drive-in theatres for all the neighborhood kids. Playing Floyd Cramer and Charlie Pride 8 track tapes from the basement early Sunday's. Your coming home from Puerto Rico with sugar cane. Your anxious return from the artic with Eskimo artifacts like the walrus. Working hard on getting the entire clan hooked on Hockey night in Canada and the feuds. Exposing us the the culture of the Three Stooges. Mastering the art of relaxing in front of cartoons, westerns and "old classics". Having TV on at 3:00 in the morning and never feeling alone. Letting us watch the War in the Worlds and being mesmerized by it. The comfort of hearing your choked laugh like Mutley. Laughing until you had tears in your eyes watching "Airplane" over and over again. Introducing the family to cream peas on toast. Being force fed sausages but really learning to hide them in napkins. Eating cereal, lot's of cereal at the oddest hours of the day. Your love food - all food. Putting up with the teenagers who started to hang around the house. Putting up even less with the boyfriends of your "little girls". Shopping, shopping and more shopping for sales and more sales. Having a knack for finding the best and most interesting finds at garage sales. Being the most verbally flamboyant driver with the highest blood pressure that we knew. Helping us to learn to drive and how to act in a fender bender (slowly reverse and drive away). Blowing up at the small mistakes in life - like not replacing the milk bag. But always being able to forgive the bigger mistakes and help lend a hand. Taking the plunge and going to see Ricki in Texas. Taking an even bigger plunge and going camping (yes in a tent) with Mom in our Datsun. Seeing your pride in walking for the first time with your prosthesis. Trying your hardest to live each day one day at a time since your surgery. But also opening up as a person and sharing your fears and tears. For letting us see a glimpse of what a husband should be for his wife. For being the recipient of an unconditional parents love. And last but not least for being BUBBA to all. Memorial for Earl by Claude Sept 8th, 2000. Written with love by Glenda and Charlene. It was both a pleasure and privilege in knowing Earl. He touched our lives in so many ways, some directly through his coffee conversations, probing questions and colourful debates. Others through relationships with Annie and the kids. 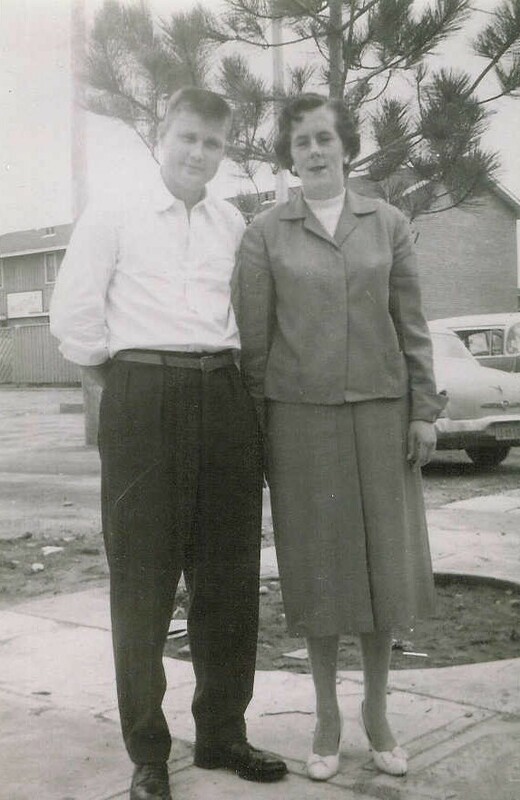 Earl was born in Mont Nebu, Saskatchewan at home November 13th, 1931 to Wallace and Lydia Kadolph. He was the second of six children; Elsie his oldest sister, Roy and Gord his younger brothers and Lol and Margaret his younger sisters. All are here with us today with the exception of Margaret who passed away when she was six months old. He also has a half-sister Betty-Anne from his step mom Betty. He moved to Dryden, Ontario when he was six years old and grew up in Port Arthur, Geraldton and finally in Fort William where he completed most of his schooling. 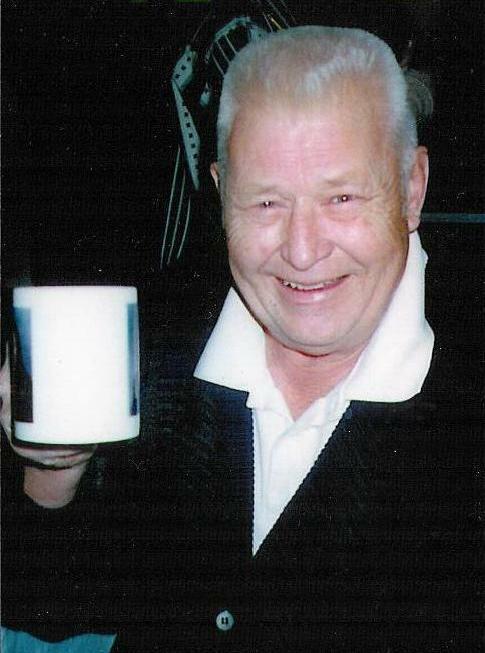 Earl joined the Royal Canadian Air Force in 1950 as an Aircraft Mechanic. He met Ann in June of 1952 and it was love at first sight. Earl was a rebel at heart as most witnessed each day but the most telling example was how they met. Ann saw Earl behind bars on the base jail after he was caught for being AWOL. Even though he was dating some else at the time, he asked Annie out and three months later they were married. They have been for 48 years! Ricki was born in 1954, the first of six kids “The Brady Bunch”, three girls and three boys. All were born in Nova Scotia where they settled for most of their early years as a family. Earl and Ann were blessed with 13 grandchildren and 2 great grandchildren. His nickname “Bubba” was invented by his first grandchild Chris because he could not pronounce Grandpa. Earl spent most of his spare time with the kids watching cartoons, making them toys, fixing broken toys and telling them to “settle down”. Earl was the rock of the family. He was there supporting Charlene and Brian when his grand-daughter Shannie died in 1984 at the age of 21 months. He spent many hours looking after Chris during this time, watching Star Wars and playing with action figures. Earl and Ann also had to deal with the passing of their oldest son, Richard in 1992. Once again he proved to be made of tough stuff because he was the anchor of support for all, even though he was hurting himself. He served in the RCAF for twenty years and then continued his career as an Aircraft Engineer until the early 90’s. Earl started working in maintenance in the Dobbin Housing Co-op in 1993. He wanted a part-time job doing what he loved - fixing things. He obviously made a huge impression on the people in the area and they on him. In 1999 Earl and Ann moved to Dobbin to a handicapped home after facing his toughest personal battle, the loss of his leg. The decision to move was a very difficult one for them to make after creating a home on Varley Lane but in reality was the best thing for them. It was here that they were introduced to a wonderful collection of people, young and old and some puppies too! Earl worked hard each day to keep busy, taking care of Annie, doing odd jobs and making himself available to all his friends and neighbours. Some days were tougher than others for Earl but he always tried to focus on others and not on himself. Ironically the move allowed him to be what he was most suited in life to be - a fulltime husband, a concerned and caring father and grandfather and a good friend to all. Earl would want us all to be together for each other, to help Annie through this and to continue the circle of friendship that he was the center of. May god bless you Earl and all of love and thoughts will carry on forever.